The girls! In a lineup! Though I think Val's gonna end up a swan again. 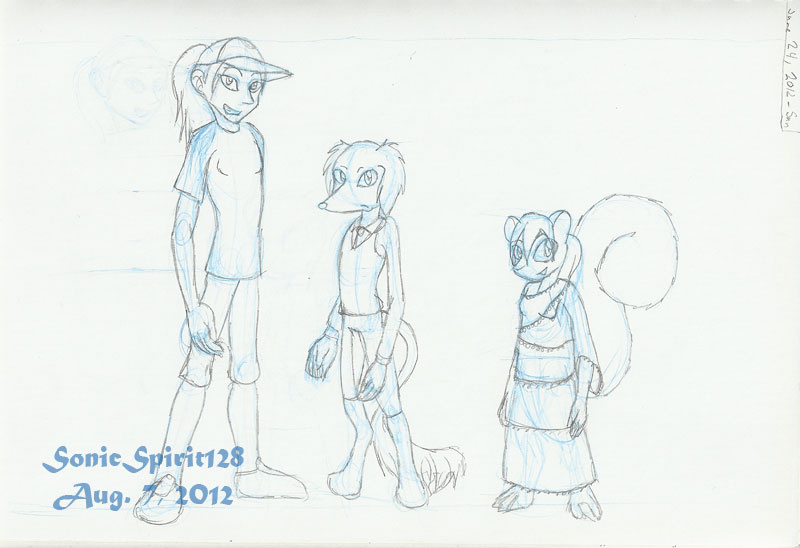 Eh, this is all in-progress character design art, anyway. See the process! I really don't do this much.